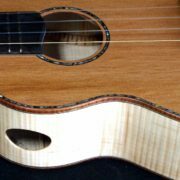 I’m going to make my November deliveries to Hale Ukulele tomorrow and here is the first of a half dozen instruments for the holidays. 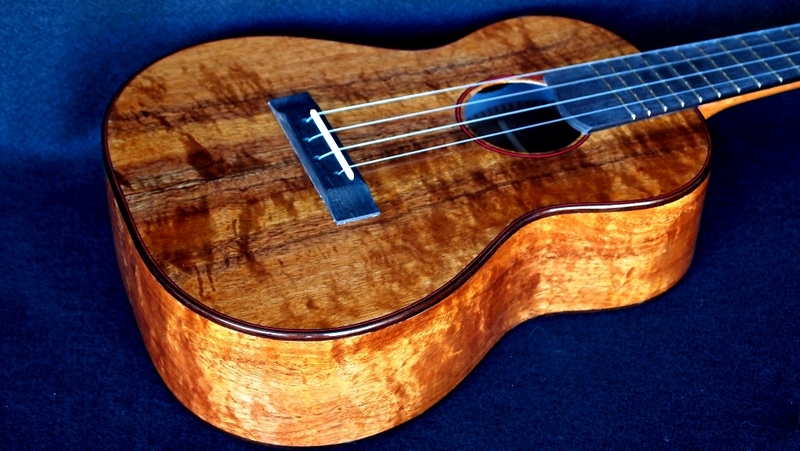 I’m calling this one the Tri-color Koa Super Tenor Ukulele. I love, love, love the look of this Koa. It’s an eye catcher whether you’re at home or on the stage. 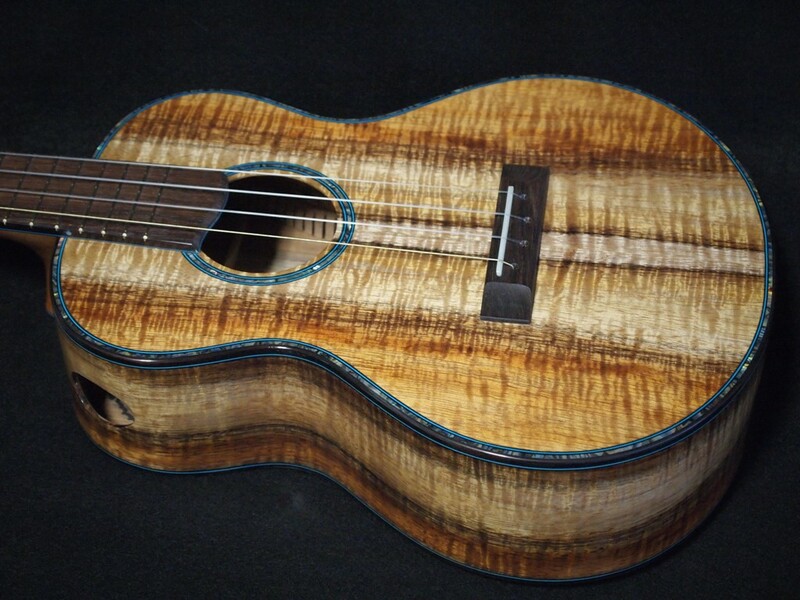 The blue Paua Abalone and blue/black fiber accent is a natural for this instrument. 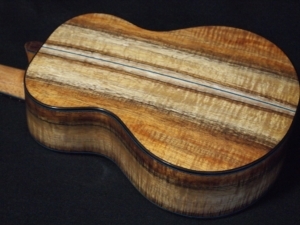 I am using Amazon Rosewood for finger board and bridge for almost all the Koa instruments now because it is the closest match to Brazilian Rosewood I can find and it is readily available, at least for the present. 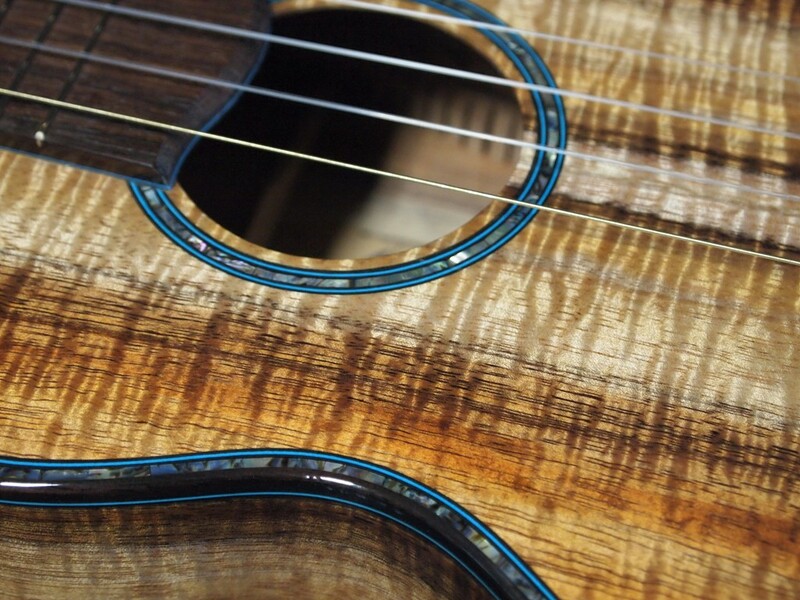 It’s also a great color match for Koa. 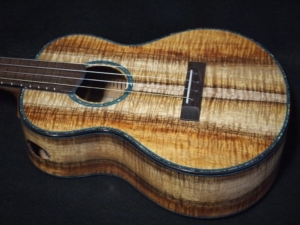 I have a few more sets of this gorgeous wood for another Tri-color Koa Super Tenor Ukulele or Baritone or Concert or Standard Tenor or Pineapple!